Classic Wisconsin Fish Fry Scale: 5 points out of 5, a Classic Wisconsin fish fry. We made plans with friends to meet at Pubhaus at 600 at 6:00pm. I hadn't heard about this place before our friends recommended it, but as we were walking up we saw the green sign advertisting Fish Fry, I was getting a good vibe already. We walked in, and it's a tavern type setting, the true roots of a classic Wisconsin Fish Fry, but the place wasn't overly busy and most people were at the bar for drinks. Immediate seating was available so we found a pub table to sit at, then headed to the bar to order a round of brandy old fashioneds. 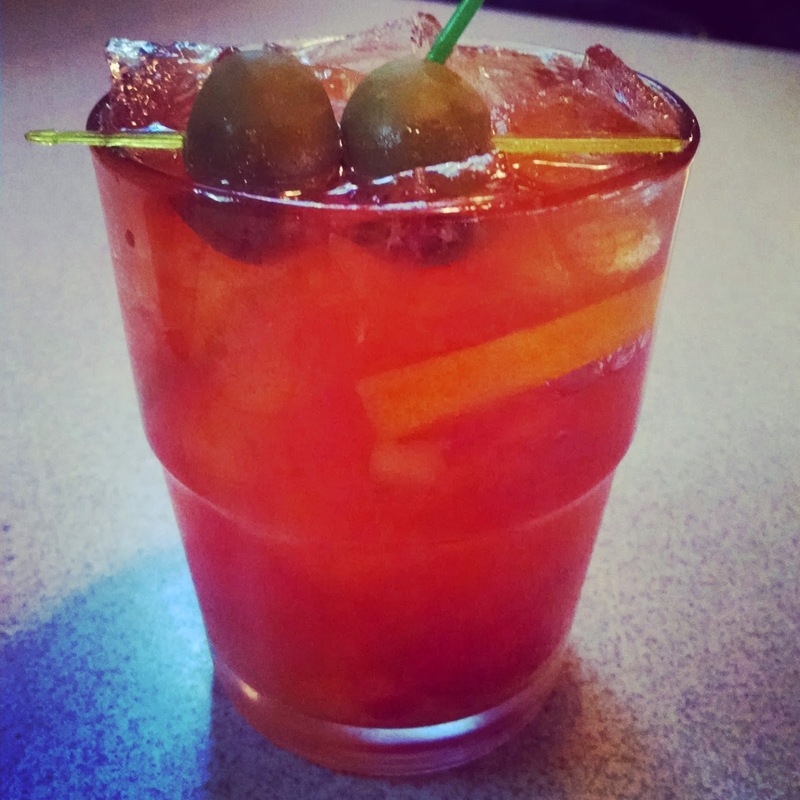 I was delighted when I saw the bartender drop some cherries into an empty glass, then some orange slices, a packet of sugar, and some bitters and muddle it all up. I specifically ask for Korbel brandy so I don't get the rail brandy, it's a much smoother taste. The old fashioneds were delicious! I took a picture of Chad's old fashioned because I've started ordering my old fashioneds without the soda (but only when they muddle it), and you really get the flavor of the muddled items and brandy and has it has a great flavor when mixed correctly. Our friends arrived and we placed our orders, and opted for the hand battered cheese curds for an appetizer. They arrived at our table soon enough and were phenomenal, this tavern is really hitting all the right marks for a great experience so far. We devoured the cheese curds and got another round of drinks. Our food came next and the presentation matched my expectations from this tavern. I got the double order of perch and they gave me 3 full perch that were a pretty good size filet. The perch was fried perfectly and tasted great. I'm thinking the tartar sauce was homemade, and had the right balance of flavors and accompanied the perch filets perfectly. For my potato I opted for the baby reds, they were baked or roasted I think and when smashed with some butter and sour cream were good. The cole slaw was a creamy variety and had a good flavor, and finally the meal was fully complete as a Classic Wisconsin Fish Fry with rye bread with white raw onion. 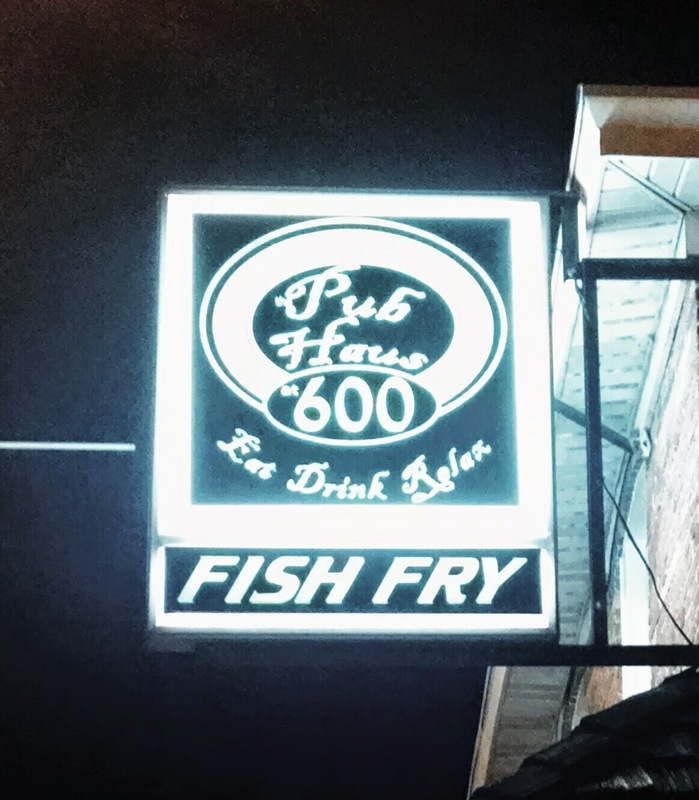 I was excited that Pubhaus 600 not only offered a full Classic Wisconsin Fish Fry experience in a tavern setting, but everything tasted great too! 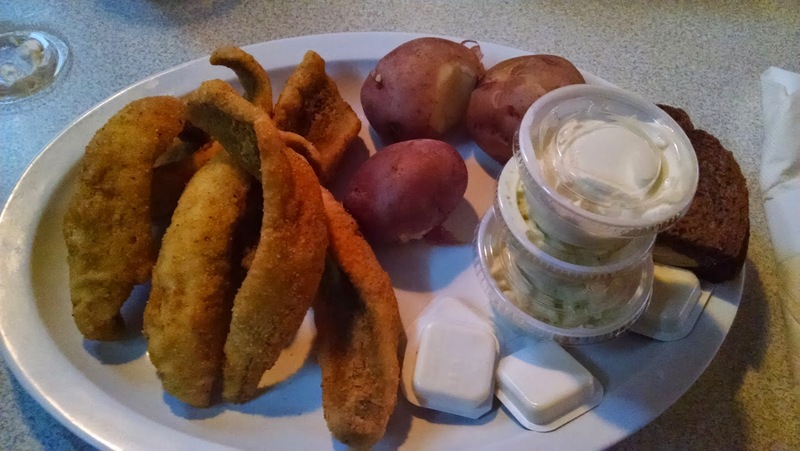 They've earned a spot on our Top 5 Classic Wisconsin Fish Fry's in NorthEast Wisconsin. Looking for a fish fry at a local tavern that truly embodies what the Classic Wisconsin Fish Fry is all about? Look no further than Pubhaus at 600 in De Pere.